The Facebook News Feed algorithm is a bit of a mystery. The only people who truly know the inner workings are those Facebook engineers, reviewers and data scientists who are behind the scenes. But there are a few things we do know about the algorithm that can help us run our business pages more successfully. For a long time, the News Feed was propelled mainly by automated software, which tracks user action and engagement. Overtime Facebook decided to add more of a human element into the operation. They continue to learn and adapt to what users prefer. For a more in depth perspective, check out our blog post about cracking the algorithm code. Today we are going to keep it more simple. According to Facebook, people spend three times more time watching Live videos over non-live videos. It might seem daunting getting started, but with just a few simple steps, you’ll be gaining more viewership and an increase in engagement. We talk a lot more about this on another blog about Facing your Fears and Going Live on Facebook. Facebook prioritizes live videos first, followed by regular video, photos, text and finally: links. Facebook monitors engagement. They want to know what users are interested in. The percentage of the number of people who engage with your posts out of the number of people who like your page means more than the number of people who like your page alone. We talk more about how to improve your engagement here. You are an expert at what you do. Share your knowledge with your viewers and your page will become more relevant. 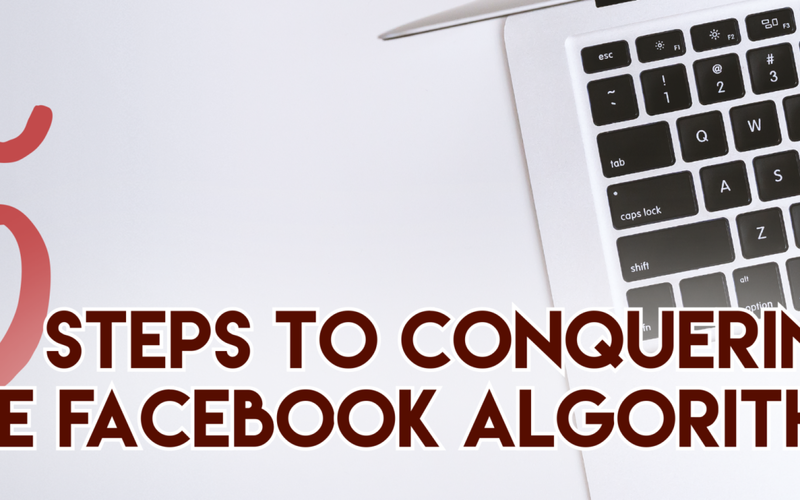 By continually posting interesting content, you will be favored more by the algorithm. Due to the human element, authenticity is crucial. Be real and honest. Not only does the algorithm favor it, but your potential customers and clients will as well. You want to gain a know, like and trust factor with your followers. There is a fine line between a catchy headline and a click-bait title. The best way to avoid being weeded out is to make sure your headline is descriptive. You’ll get flagged when you use misleading or vague titles intended to trick readers into clicking your link. I hope you found these tips helpful. We know the algorithm is confusing and can seem overwhelming. But just by following these simple steps, you will see an improvement in your visibility and engagement. If you want to learn more or have any questions, you can schedule a free 15-minute consultation call with me. We have a lot of other resources you can find all throughout krosemarketing.com. I also recommend checking my free success guide, where you can learn even more about how to set goals, get organized, plan your month and more.